F2 has revealed the full driver line-up that will conduct the three-day post-season test in Abu Dhabi. Recently-crowned GP3 champion Anthoine Hubert will drive for MP Motorsport in the post-season Formula 2 test in Abu Dhabi. The three-day test, which takes place at the Yas Marina Circuit, begins on Thursday and provides new drivers with a first opportunity to work with their new teams, as well as offering a chance to evaluate potential signings ahead of next season. Five drivers have already been confirmed for 2019, with Nobuharu Matsushita returning to reigning champions Carlin, while 2018 European Formula 3 champion Mick Schumacher makes the step up to partner Sean Gelael at Prema. ART Grand Prix is the other team to have announced its 2019 driver line-up, which consists of GP3 runner-up Nikita Mazepin and Nyck de Vries, who has made the switch from Prema. Louis Deletraz - who competed for Charouz Racing System last year and is conducting Formula 1 Pirelli tyre testing with Haas on Wednesday - will swap F1 machinery to join Matsushita at Carlin, while DAMS will run Nicholas Latifi and new McLaren reserve driver Sergio Sette Camara in its test line-up. The BWT-backed Arden squad will field Ralph Boschung and sportscar ace Thomas Laurent, who will complete his first outing in an F2 car as he evaluates his 2019 options. 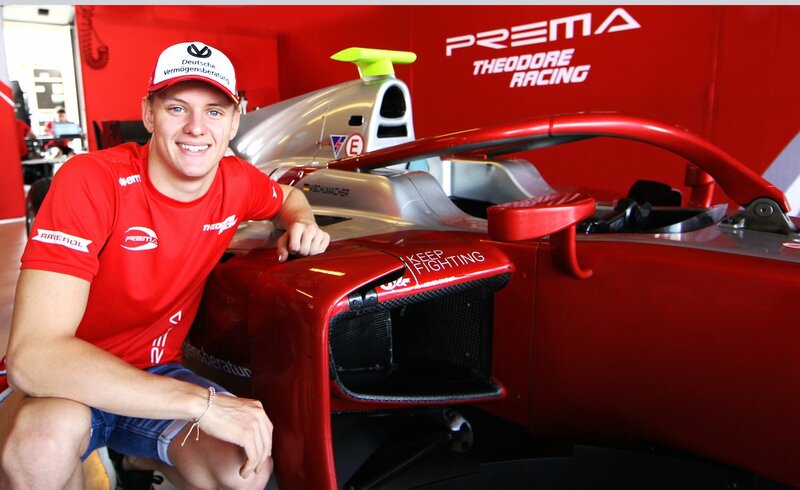 Also among the entrants for the test is GP3 champion Hubert, who will get behind the wheel of MP Motorsport’s F2 machinery along with fellow GP3 driver Juan Manuel Correa. 2018 ART GP teammate and Ferrari protégé Callum Ilott will be in action for the Charouz squad that will act as the Sauber F1 team’s junior outfit. Ilott will be joined by Sauber development driver Tatiana Calderon, who confirmed to Crash.net over the Abu Dhabi Grand Prix weekend that she would be driving for Charouz. Two-time GP3 race-winner Leonardo Pulcini and Ryan Tveter will drive for Trident, while European F3 trio Ralf Aron, Marino Sato and Guanyu Zhou will drive for Campos and Russian Time respectively, with F2 regular Luca Ghiotto completing the latter’s line-up.